In order to close the feuilleton about the Elfstedentocht, I give you the latest news: After my last post on Wednesday, in the evening we heard the decision of the rayonheads: the tour will not take place now. Big disappointment, but the ice was not thick enough in order to make the tour possible. But the fact that there will be more frost this winter is still seen as a possibility, in which case the discussions and madness about the Elfstedentocht will begin again. Yesterday it became official: the coldwave that lasted 10 days (meaning only temperatures below 0 degrees) ended yesterday, when a temperature of 0,5°C was measured in the afternoon. This wave is now situated on the 8th place in the history of registred temperatures in Holland. 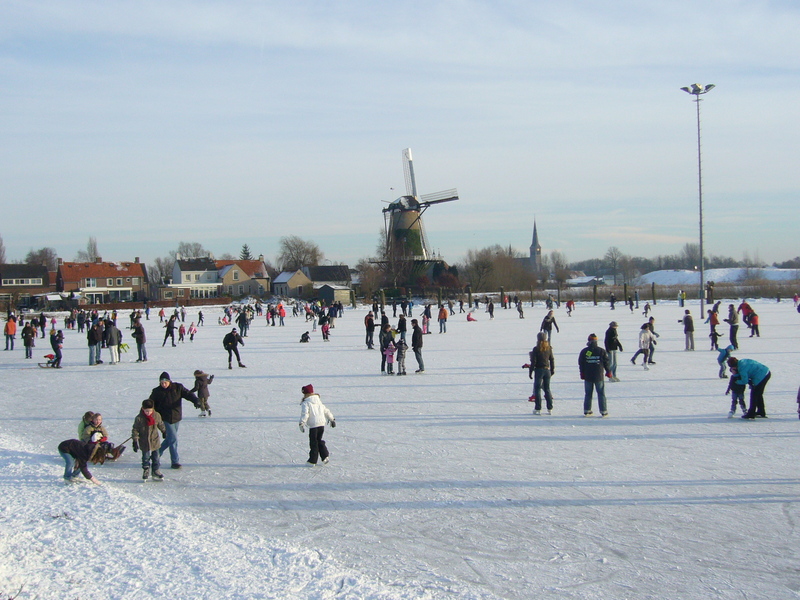 The last coldwave was registred in 1997, also the last time that the Elfstedentocht was held, so maybe that’s why the Dutch became so enthusiastic this time… It is still possible to skate on natural ice in Holland until Sunday, when it will start melting. The thing that makes me happiest about the end of the coldwave is that yesterday evening I was able to use the washing machine again, which was not possible in the last days, because of a frozen water pipe.